A leaky roof is more than a nuisance – leaks mean that water is invading your home and potentially damaging various structural elements that can be costly to fix if the leaky roof doesn’t get repaired. Water may be causing rotting, mold and permanent damage to your home long before you notice spots on the wall and ceiling. 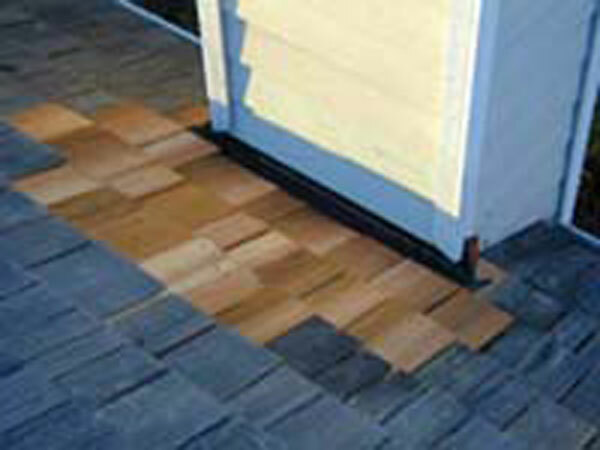 How do you know if your roof is on course to become a leaking hazard? If you discover any of the following on your roof or inside your home, it is time to quickly pick up the phone and get a trained roof repair specialist from Alpine Roof Care out to have a look. We will come to inspect your home in the Seattle area including Woodinville, Redmond, Issaquah, Renton, Kirkland & Bellevue. Missing or torn singles or shakes can cause nearby shingles or shakes to blown off more easily and expose your home to water damage. Old shingles that are curling or splitting are more likely to be blown off and are an indication that they’ve lost their waterproofing. Chimney, skylight or vent pipes whose flashing is rusted or missing can cause interior leaking – especially when found in valleys on a rooftop. Any indoor discoloration, cracked paint, peeling wallpaper areas where outside light shines through or sagging are all likely signs of a damaged, leaky roof and water issues. Since 1992, our fully qualified and experienced roof repair technicians have been inspecting damaged roofs across the Seattle area from Arlington to Issaquah. With our trained eye, we can provide better and more accurate roof repair estimates to ensure the longevity of your home.